The Cougars are favored by 4 1/2 points over Colorado. But if they don't have the right mindset, this could become a struggle. When: Saturday, Nov. 10, 12:30 p.m. The fans in Boulder are unhappy. Colorado exceeded expectations by winning its first five games, but four straight losses have derailed the season and people are starting to turn on the team and on coach McIntryre. If the Cougars can a get a couple touchdown lead early, things could get ugly for Colorado. Travon McMillian rushed for at least 100 yards in four of the five Colorado wins, but just once in the four losses. If Colorado gets the running game going, it makes quarterback Steven Montez more dangerous. Opponents in recent weeks have forced Montez to win games and despite some decent stats for the QB, Colorado hasn’t been winning. 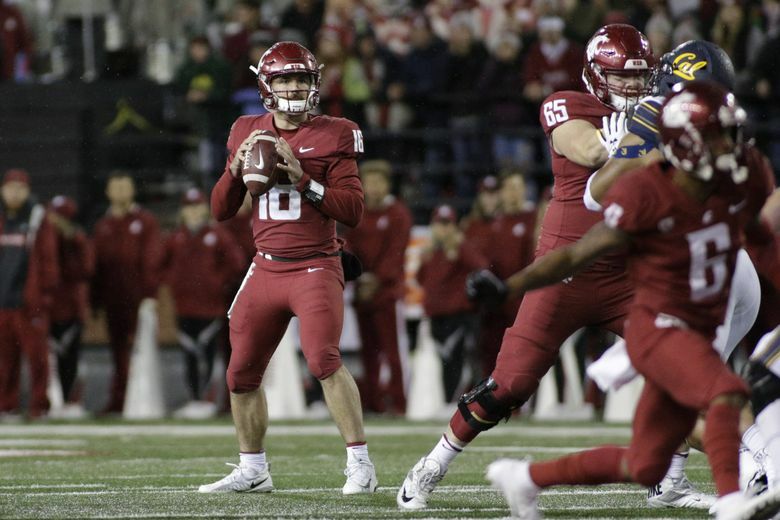 Washington State will have bigger games ahead — if it continues to win. Colorado is good enough to win if the Cougars don’t have the right mindset. If the Cougars are looking ahead to big home games vs. Arizona and Washington, this could become a struggle. The Cougars got a scare last week, and think they will be ready for their final road game of the season.